My brother, a trained chef, suggested I try an air fryer because it was "the kind of thing you'd like." I had been lamenting my loss of a decent convection oven. I wished had some way to get things a perfectly crispy-yet-tender-on-the-inside that convection provides. Enter the air fryer. Air fryers don't fry anything. The air fryer is a high volume convection oven. It blows hot air over the food stuff that you put in its basket. I have found it wonderfully effective. In addition to making the worlds greatest tater tots, chicken, fish and beef have been frequent visitors to the air fryer. The air fryer takes no time to heat up. You puts the foodstuffs in the basket (instructions call what is clearly a basket a pan,) and cook away. The basket clicks into a slightly larger pot, which is inserted back into the front of the fryer. Hot air then circulates around the food you are cooking, drying the outside out a bit, but trapping moisture in as well. I highly recommend using some tinfoil to line the lower bucket, and parchement paper to line the basket if cooking fatty foods. This makes clean up very, very easy. I also suggest flipping everything you are cooking when it is 1/2 way through its cook-time. With tater tots, I just shake the basket. I love how quickly I can make a couple chicken breasts, without having to heat my oven or clean a frying pan. I am making dishes that I'd previously have ignored as too much effort. Who wants to bother cooking a single breast of chicken to then cut it up and make chicken salad on the stove, or in the oven? It is just too much work for this lazy, single dad. Initially I cringed at giving up counter or cupboard space to another gadget. I have no regrets, I use the air fryer almost daily. As I am mostly cooking for two the 3.7 quart seems just about the right size. 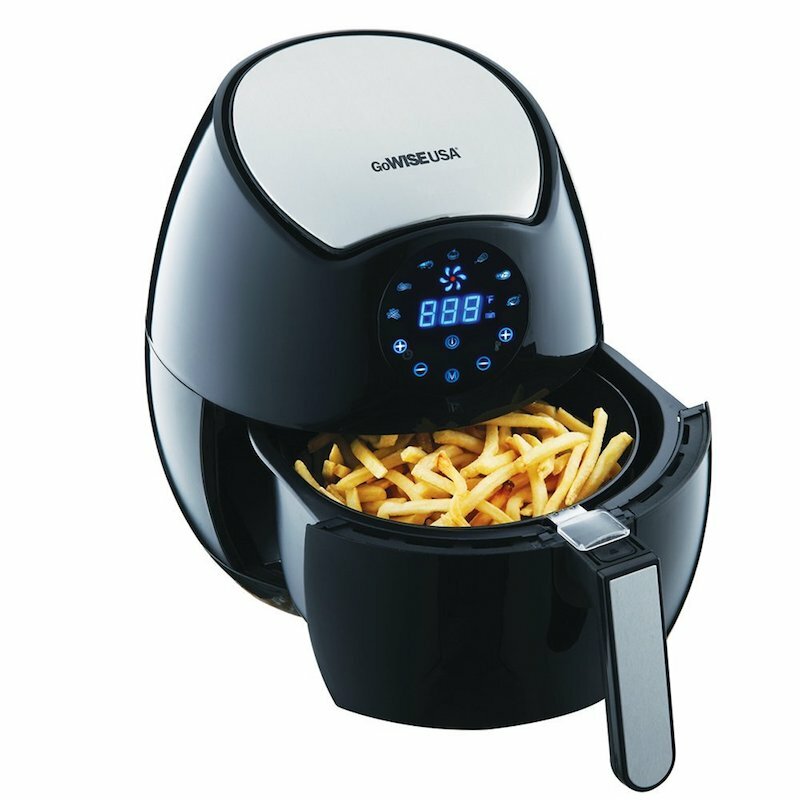 If you have a larger family, get the larger fryer. The air fryer brings microwave simplicity to things with convection oven quality out-put. I love it.